xAd, Inc. dba GroundTruth participates in and has certified its compliance with the EU-U.S. Privacy Shield Framework. GroundTruth is committed to subjecting all personal data received from the European Economic Area (EEA), in reliance on the Privacy Shield Framework, to the Framework’s applicable Principles. To learn more about the Privacy Shield Framework, visit the U.S. Department of Commerce’s Privacy Shield List: https://www.privacyshield.gov/list. GroundTruth’s Website and Ad Platform Privacy Policies, below, describe the types of personal data GroundTruth collects, the types of third parties to which it discloses personal data, and the purposes for which it does so. Residents of the EEA have the right to access the personal information that GroundTruth maintains, and in some cases, may have the right to correct or amend information that is inaccurate or has been processed in violation of the Privacy Shield Principles, to the extent allowed by law. To exercise this right, contact us at requests@www.groundtruth.com. For information on opting out of interest-based advertising delivered by GroundTruth, please see the Choice section of this Policy below. GroundTruth is responsible for the processing of personal data it receives, under the Privacy Shield Framework, and subsequently transfers to a third party acting as an agent on its behalf. GroundTruth complies with the Privacy Shield Principles for all onward transfers of personal data from the EEA, including the onward transfer liability provisions. With respect to personal data received or transferred pursuant to the Privacy Shield Framework, GroundTruth is subject to the regulatory enforcement powers of the U.S. Federal Trade Commission. In certain situations, GroundTruth may be required to disclose personal data in response to lawful requests by public authorities, including to meet national security or law enforcement requirements. In dieser Datenschutzrichtlinie wird erläutert, wie xAd, Inc. dba GroundTruth („wir“, „uns“, „unser“) sowie unsere Partner und Tochtergesellschaften Daten über unseren mobilen Werbedienst und unsere mobilen Landingpages („Dienste“) erfassen, verwenden und weitergeben. GroundTruth is a mobile advertising platform specializing in location powered mobile ads. Our Services combine data, technology, and strategy to help advertisers reach the audiences most likely to be interested in their products or services. GroundTruth adheres to the Digital Advertising Alliance’s (“DAA”) self-regulatory principles, the Digital Advertising Alliance Canada’s (“DAAC”) self-regulatory principles, the Internet Advertising Bureau (“IAB”) UK’s Good Practise Principles for Online Behavioral Advertising and the European Interactive Digital Advertising Alliance’s (“EDAA”) self-regulatory principles. We may collect various types of information from mobile devices using cookies, scripts, web beacons, software development kits (“SDK”), or other similar techniques. These technologies are used to collect digital actions of users that visit and use mobile websites and applications, or interact with ads presented in mobile websites and applications of our platform members. 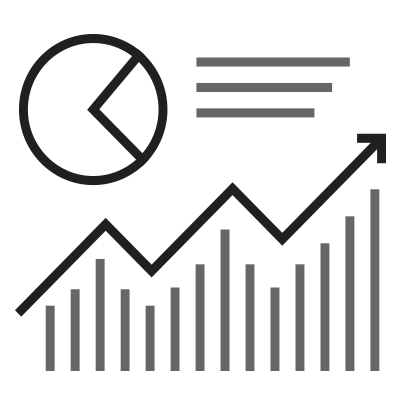 We also receive other data (e.g., demographic information) from third parties or through analytical techniques that we combine with the data we collect or derive through the Services. 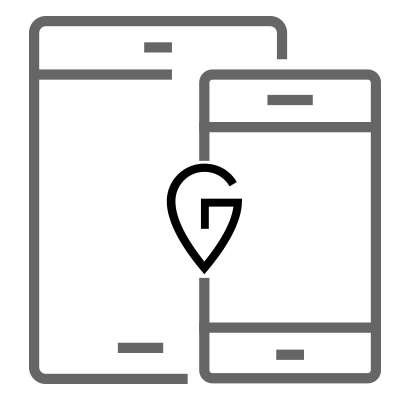 The data we collect can include a device identifier, browser and operating system type and version, device type, and other data from or about a mobile device including location related data, as well as information about users’ web viewing and application use. This data may be collected over time across different apps, websites, browsers or devices. We may also receive data related to the location of a mobile device from platform members and other parties. We may also derive physical address information from the location information we receive or collect from mobile devices, such as for the stores and other places the device frequents. We retain data used for interest-based advertising only as long as we have a legitimate business purpose to retain such data, or as otherwise required by applicable law. We may use data for purposes including analytics; research; reporting; attribution; Service enhancements and other business operations; predicting possible relationships among different browsers and devices; differentiating and/or associating multiple device users as well as associating devices or users with locations such as a household or workplace; frequency capping; and in multiple ways to make ads more relevant. For instance, we may use the location related data to present ads from a local business or use that and other data we collect to deliver ads that the user may find more relevant to their interests. Another example would be using this data to create “segments” – groups of users that are inferred to share similar interests. We use data collected across different devices and from non-affiliated websites and applications over time to provide advertising relevant to interests inferred from this data for our clients. This form of advertising is known as interest-based advertising. We may also partner with other ad companies to extend our audiences across different browsers and devices for interest-based advertising purposes. If you would like to exercise choice regarding our, and for other third parties that participate in the DAA Choice Page, collection of web viewing data from web browsers for interest-based advertising purposes on this device, click here. When you make your choices on your browser or device using these choice tools, we will stop using data from that browser or device for interest-based advertising on it. We will also stop using data collected from that browser or device on other browsers or devices associated with it, and will stop using data collected from those associated browsers or devices for interest-based advertising on the opted-out browser or device. For iOS and Android users, to limit use of precise location data for use in interest-based advertising, you can turn location services off through your device settings. Note that electing to opt out from GroundTruth services will not stop advertising from appearing in your browser or applications. It may make the ads you see less relevant to your interests. In addition, note that if you use a different browser or device, erase cookies from your browser, or reset your platform ad identifier, you may need to renew your opt-out choice. In addition, we may still collect data in browsers or apps for non-interest based advertising purposes such as for analytics and reporting purposes, operations, improving our services and frequency capping. We may share various types of information we collect and infer about devices and users with our affiliates, third party partners and agents for advertisement targeting, audience extension across different browsers and device, to make and create offers, for other marketing purposes, to provide reporting to advertisers and clients, to improve our systems and products, and for other research and analytical purposes. We may also share data with third-party contractors and service providers who work on behalf of us. We may disclose data in response to subpoenas, court orders, or other legal process, or to establish or exercise our legal rights and obligations or defend against legal claims. We may also transfer data in the event of an acquisition or merger with another company, including at bankruptcy. Einwohner Kaliforniens können der Weitergabe von Daten an Dritte zu Direktmarketingzwecken per E-Mail an privacy@groundtruth.com widersprechen. Unsere Dienste sind nicht für Kinder unter 13 Jahren geeignet. Wir erfassen nicht wissentlich Daten von Kindern unter 13 Jahren. Diese Datenschutzrichtlinie gilt für unsere Unternehmens-Websites oder „Websites“. In dieser Datenschutzrichtlinie wird erläutert, wie xAd, Inc. dba GroundTruth („wir“, „uns“, „unser“) sowie unsere Partner und Tochtergesellschaften Daten über www.groundtruth.com („Website“) erfassen, verwenden und weitergeben. Durch die Nutzung unserer Website stimmen Sie den Bedingungen dieser Datenschutzrichtlinie zu. When you use the Website, you may encounter areas that allow you to voluntarily enter personal information, which includes your name, email address, telephone number, and mailing address. You may provide this information to us when you sign up for our newsletter, request information about products, apply for a job, fill out surveys, or otherwise provide personal information to us. If you would prefer not to receive communications from us in the future, please follow the unsubscribe instructions available in each communication. We may retain your information for as long as necessary to fulfill a legitimate business need, such as to provide you with information or services, comply with our legal obligations, resolve disputes and enforce our agreements. 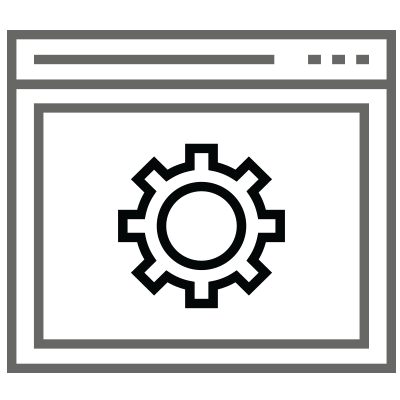 When you browse our Website we may collect various types of usage information, including, but not limited to, IP address, web pages visited, links clicked, your operating system and browser type, and your mobile device identifier. Such information is used for the purpose of operating and improving our Website, analyzing demographic and statistical research about website usage, customizing offers, and to monitor the Website for compliance with our terms of service and the law, as well as other purposes. Die Website kann Links zu Websites Dritter enthalten, die nicht unserer Kontrolle unterliegen und für die diese Datenschutzrichtlinie nicht gilt. Beachten Sie stets die jeweilige Datenschutzrichtlinie der von Ihnen aufgerufenen Website. Wir schützen uns bereitgestellte personenbezogene Daten anhand allgemein anerkannter Standards, sowohl während der Übertragung als auch anschließend. Wenn Sie bereits zur Verfügung gestellte personenbezogene Daten wie Ihre E-Mail-Adresse oder Telefonnummer einsehen, ändern oder löschen lassen möchten, schreiben Sie uns eine diesbezügliche E-Mail an requests@groundtruth.com . Sie erhalten möglichst umgehend Antwort. We use Google Analytics to better understand how visitors interact with our Websites. This service provides usage information including but not limited to data on where visitors came from, what actions they took on our Sites, and where visitors went when they left our Sites. We use this information to improve your experience when visiting our Website. Please click here to learn more about this service and how to opt out of data collection by Google Analytics. We may partner with ad networks and other ad serving providers (“Advertising Providers”) who serve ads on behalf of us and others on non-affiliated sites. Some of those ads may be personalized, meaning that they are intended to be relevant to you based on information Advertising Providers collect about your visits to this site and elsewhere on the Internet over time, as well as from various mobile applications you use, across different devices. You may visit www.aboutads.info to learn more about this type of advertising and how to opt-out of this type of advertising by companies participating in the Digital Advertising Alliance self-regulatory program. Additionally, if you would like to opt-out of this type of advertising in mobile apps, you can visit here and download the opt-out app for your device. GroundTruth adheres to the Digital Advertising Alliance’s Self-Regulatory Principles. Note that electing to opt out will not stop advertising from appearing in your browser or applications. It may make the ads you see less relevant to your interests. In addition, note that if you use a different browser or erase cookies from your browser, you may need to renew your opt-out choice. You can also opt out of interest-based advertising by us and other companies that offer choice through TRUSTe by clicking here, or if located in the European Union you can click here to make choices with respect to companies integrated in the too. Please note you will continue to receive non-interest-based ads. Diese Website ist nicht für Kinder unter 13 Jahren geeignet. Wir erfassen nicht wissentlich personenbezogene Daten von Kindern unter 13 Jahren. Diese Datenschutzerklärung kann in Zusammenhang mit unseren Datenverarbeitungsverfahren geändert werden. Wir informieren Sie per E-Mail (an die in Ihrem Konto angegebene Adresse) oder auf dieser Website über substanzielle Änderungen hinsichtlich der Verarbeitung personenbezogener Daten, bevor diese Änderungen wirksam werden. Wir möchten Sie bitten, diese Seite regelmäßig aufzurufen und sich über die aktuellen Verfahren zur Datenverarbeitung zu informieren.